Each spring visitors are welcomed to over 200 of Virginia’s most beautiful gardens, homes and historic landmarks during Historic Garden Week, which has come to be known as “America’s Largest Open House.” A beloved Virginia tradition, this 8-day statewide event provides visitors a unique opportunity to see unforgettable gardens at the peak of Virginia’s springtime color, as well as beautiful houses sparkling with over 2,000 flower arrangements created by Garden Club of Virginia members. Locally, Historic Garden Week in Lynchburg will be held Tuesday, April 26, hosted by the Lynchburg Garden Club and the Hillside Garden Club. This walking tour features five private homes along or just off Peakland Place in the historic Boonsboro section of Lynchburg. The houses, all built in the 1920s and 1930s, and their gardens vary in size and formality, with some gardens enjoying years of history while others are in their infancy. As a way of celebrating the Lynchburg Public Library’s 50th anniversary, each home will include an arrangement that interprets the homeowner’s favorite children’s book. Outdoor lectures on beekeeping, growing grapes and harvesting lavender will take place along Peakland Place. Oakwood Country Club will serve as headquarters; also at Oakwood will be painted box lunches by the Lynchburg Art Club (by advance reservation only) and wine tasting by Blenheim Vineyards. Advance tickets are available locally at various locations as well as online; tickets may also be purchased on-site on the day of the tour. Proceeds support the restoration and preservation of Virginia’s historic gardens and state parks. For more information, check out Historic Garden Week in Lynchburg on Facebook, or visit vagardenweek.org online. Here, HOME offers a sneak peek at what this year’s home and garden tour has to offer. Formally named the Kylemore House, this grand Federal-style home is a quintessential Lynchburg residence with a traditional feel and a “white picket fence” garden. 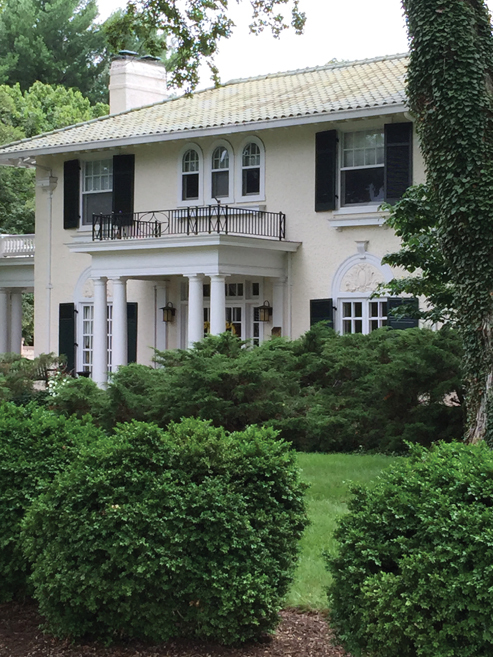 Designed by architect Pen Clark of Clark Nexsen, the house was built in 1923 by Alice Aunspaugh Kyle, the founder of the Virginia Federation of Women’s Clubs (now known as the General Federation of Women’s Clubs of Virginia). The Nexsens purchased the home in 1998, embracing the traditional aspects of the home while incorporating their own style. Included in the interior is an extensive portrait collection, art from their many travels, as well as a vast collection by local artists, including Ethel Ferrell, Mrs. Nexsen’s aunt. The front and rear yards represent simple and elegant gardening. Traditional boxwoods and greenery accented with benches, birdhouses and petite statues are nestled throughout the garden. The driveway is lined with crepe myrtles. Mr. and Mrs. W. Randolph Nexsen, owners. 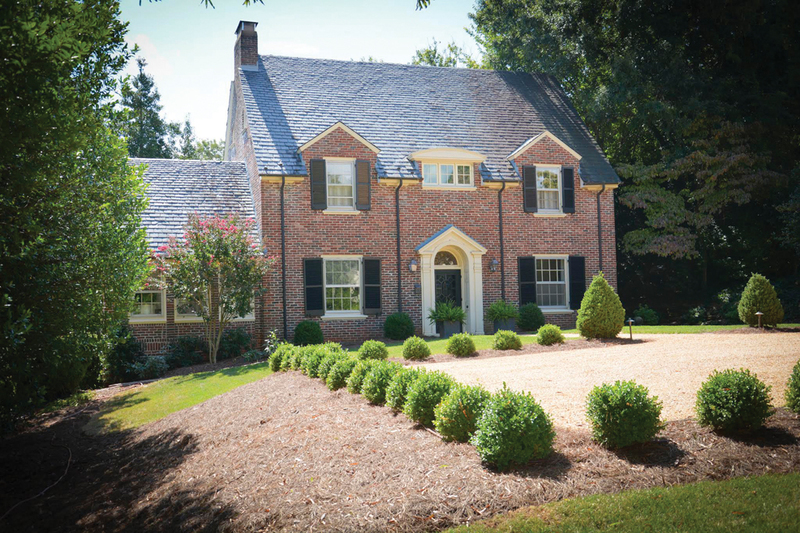 This classic brick home was built by the Pettyjohn Company in 1932. Over the past 40 years, the owners have transformed their home into a mini-museum, filling it with an extensive collection of traditional and modern art, antiques and Oriental rugs. An extensive portrait collection hangs throughout the house including a painting of Edmund Ruffin, Mrs. Giles’ great-great-great-grandfather, who fired the first shot of the Civil War from Charleston to Fort Sumter. Other artists include Taylor Harbison, Seymour Guy, Mary Simms, Annie Massie, Kay Sutherland, Robert Sarsony, Betsy Owen and Peter Williams. A 1895 music box and a doll collection of Mr. Giles’ great aunt Mary Banks Moore is featured in their living room. In 2002, a first-floor master bedroom was added with a vaulted ceiling that overlooks the pool and terraced garden. The gardens were initially designed and maintained by the owners, who are opening their home for Historic Garden Week for the third time. 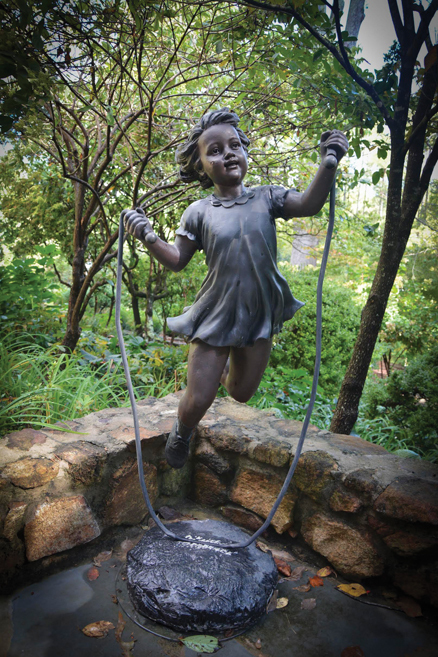 Guests will find a hidden garden, a shade garden, many whimsical statues of children and restful places to sit. Mr. and Mrs. Donald M. Giles, owners. Designed by architect Stanhope S. Johnson, this Colonial Revival home was built in 1923. The front entrance is highlighted by the beautiful flat lawn lined with stately boxwoods and accented with a white columned portico. Having lived in the home for nearly 40 years, the owners have renovated the older sections of the home while maintaining the original architectural elements. In 1987, they added a family room, home to their Steinway piano with original ivory keys, as well as their collection of wooden boxes, W. Britain toy soldiers and model ships. Art from local Lynchburg artists and frequent trips to Maine and France fills their home, as do many family antiques. The backyard was designed for elegant evening entertaining with the inclusion of a moon garden of green shrubs, white spring bulbs, a fountain, and a folly. The original shed is now a guest house with espalier pear trees lining one side and a voluminous cutting garden on the other side. 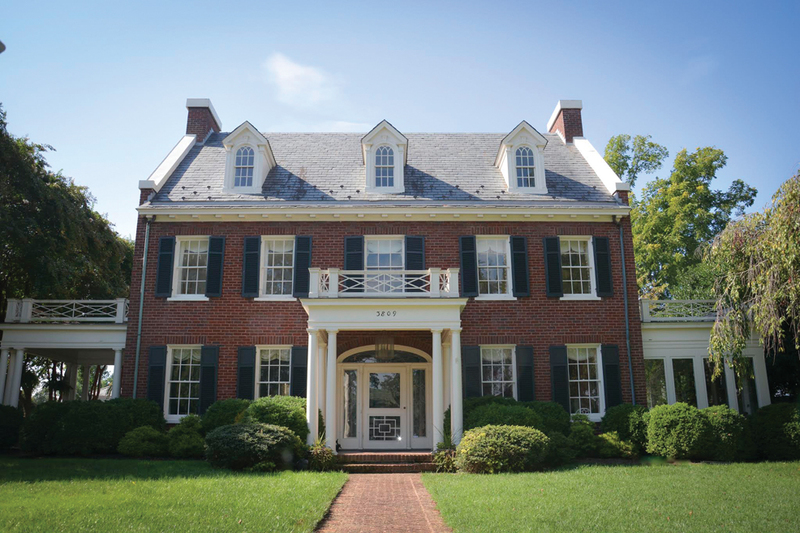 Dr. and Mrs. Fox, past President of the Lynchburg Garden Club, are opening their home and guest house for the second time for Historic Garden Week. Dr. and Mrs. Parham R. Fox, owners. Built in 1920 by local architect Stanhope S. Johnson, this Mediterranean-style home has a neoclassical architectural flare. 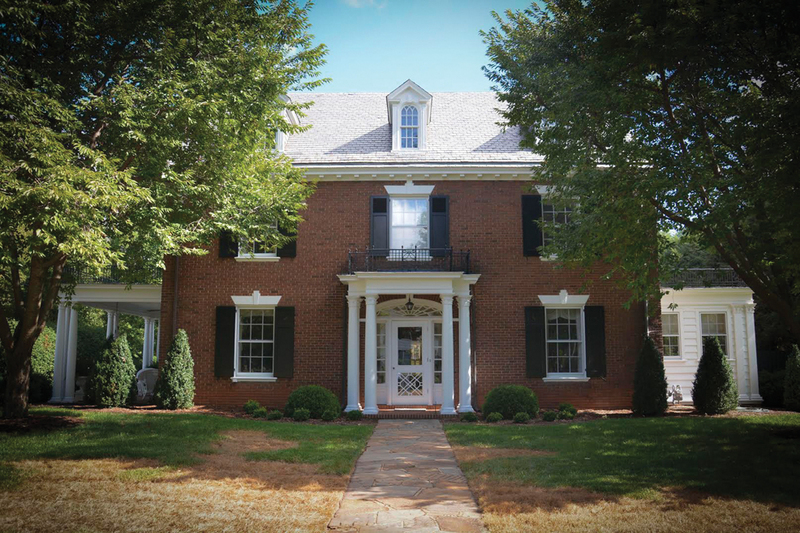 Purchased by the McCrarys in 1989, the house stands with its original footprint. With a stucco façade and terracotta tile hip roof, this home includes two symmetrical open masonry brick patios, an original cottage guest house (or depending on the season, Santa’s workshop! ), and a child’s playhouse decorated with flags acquired from family travels. Sitting on approximately one acre, the property includes a spacious front and side yard, full of charm and function for a family who loves to be together and entertain friends. Of note is the vegetable garden outside of the guest house, which is surrounded by an antique wrought-iron fence purchased at a local downtown estate shop. Mrs. McCrary, an avid chef, maintains a summer and spring garden bustling with vegetables and herbs. Dr. and Mrs. Morris E. McCrary III, owners. This classic Colonial Revival home has traditional charm and modern freshness that reflects the homeowners. Designed by Craighill and Cardwell and built in 1929, the home includes exterior and interior architectural details that mirror other signature homes in the Peakland neighborhood. The brick façade with gable slate roof, Chinese Chippendale front door, and original interior moldings drew the couple to this home. The interior is decorated with furniture and art collected from the owner’s time living in the mountains of Colorado, in and around New York City, and upstate New York. The fresh colors coupled with English wallpapers create a contemporary, warm ambiance. The previous homeowners gave the Ainslies the original 1929 landscaping plans designed for the first owner, which hang in the family room. Although the original plantings are no longer intact, the backyard is ideal for outdoor entertaining and family fun. 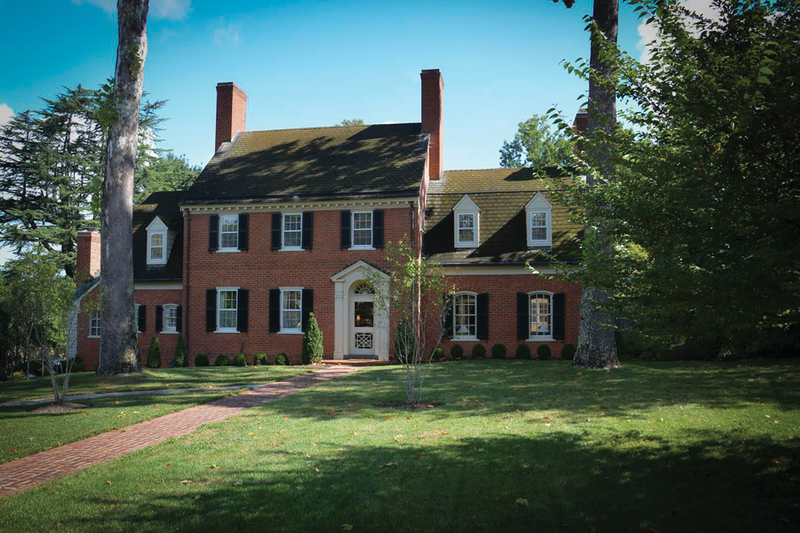 The front yard and driveway are newly redesigned and landscaped to include a traditional 18th-century Virginian forecourt garden with boxwoods and pea gravel, while also adding functionality for the modern family. Mr. and Mrs. Garth Q. Ainslie, owners.